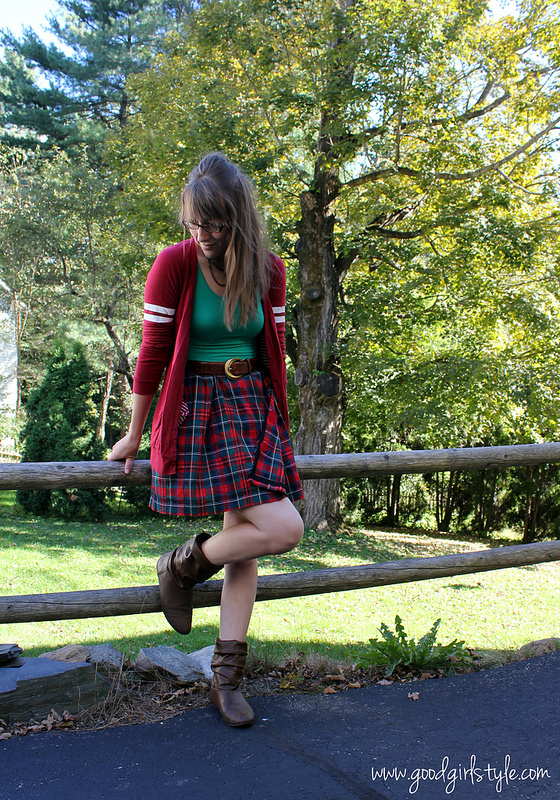 I love a good collegiate style. 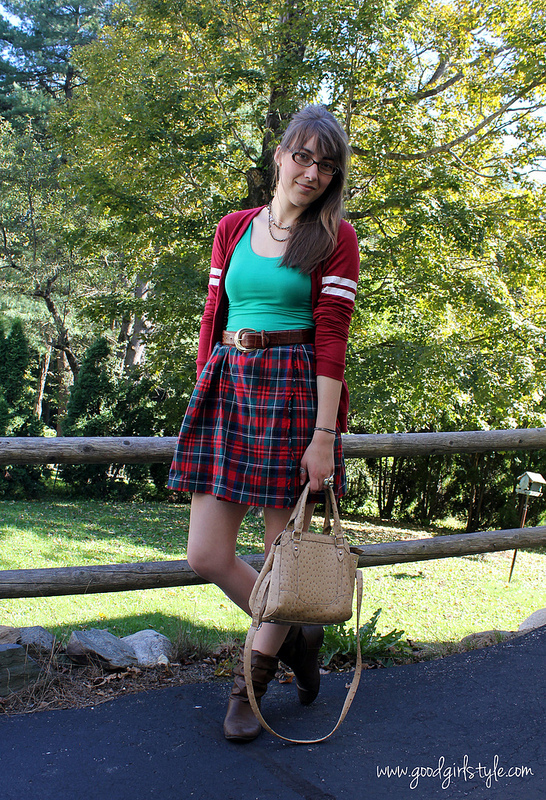 A little bit Ivy League with the (fake)Ostrich purse, the stripes, plaid, and pearls. This time of year makes me really miss school. I just adore the architecture, the libraries, the tradition and the activity on a crisp fall day on campus. It's filled with a feeling of beginning again and excitement mixed with purpose. That sounds like exactly what I'm going for in life right now. What's better for Back to School than Pumpkin Spice Lattes? In the spirit of saving money, I made this do-it-at-home version and it is yummy, cheap, and easy. 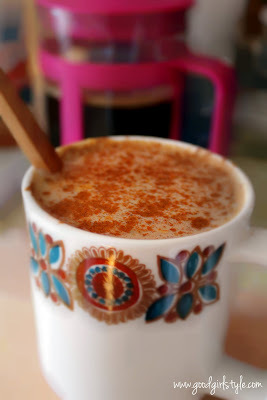 If you love Pumpkin Spice Lattes, I recommend you try this (and please, for my sake, try the whipped cream, since I didn't have any handy). And it matches my '70s Norwegian mug. So it's win-win. Haha, I love this comment! Lucky/unlucky for me, Starbucks is far away so I can't indulge too often. Also, if you want a smoother latte, just pour this through a little strainer into your cup...works like a charm! Enjoy!